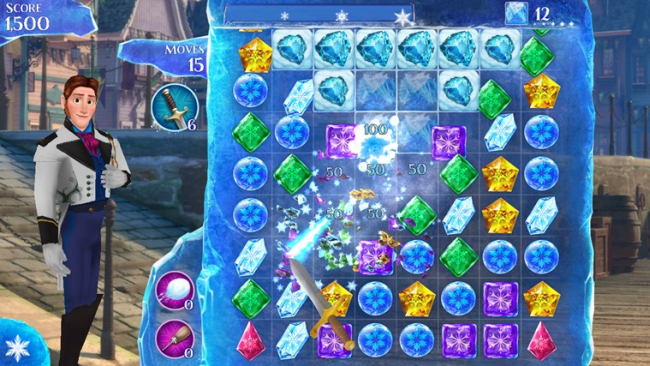 Why Are Clones of Triple-A Mobile Titles A Good Thing? They seem like copycats, but they're actually doing something good. Clones are a dime a dozen on the App Store, but have you ever sat around and thought about what good they actually do for the other excellent games there are available for you to download? Have you ever ruminated on the positive effects they have on the industry? There are hundreds of them out there. And though they've been of varying quality, the simple fact that they exist is important to the industry as a whole. Games don't often pioneer new genres, and the fact that so many developers and companies strive to achieve greatness can only mean great things for consumers, especially when everyone's looking for the next big gimmick. Despite the stigma surrounding them, clones are actually a positive thing -- they inspire other developers to imitate greatness. Just as a thousand me-too authors, pop stars, and filmmakers get their big breaks chasing the shadows of their heroes, so too do those in the video game industry. It may sound strange, but continually attempting to replicate success can often result in projects that may surpass the original in terms of quality. It's essentially free beta testing. From the "lesser" releases, developers can learn, improve, and study what works, making clones and me-too endeavors an extended beta testing phase for elements that players gravitate toward or avoid. For instance, are reviewers praising or shunning a sophisticated new leveling system? Are they enjoying the way experience must be obtained? What are the fans saying? It might be unfair to those without the resources to create triple-A releases, but it's certainly a tool for other developers to make note of: what are others trying, inspired by us, that we can use or toss out? From there, it's quite likely what Developer X has tried and failed will not appear in Developer Y's hotly-anticipated new release. And it all comes at zero cost -- perhaps a bit less publicity and sales lost to the new IP, but in the long term getting much more favorable results. Say you've just released one of the top sellers of 2012. It received high praise from consumers and press alike. You'd hate to be wrenched from your throne, but it's possible. You've found tremendous success, and that success will become a model from which your competitors will draw from. Others will want a piece of what made you famous, driving them to work harder and push themselves further to create a product that can rival or outdo yours. If anyone's creation could rocket to success with minimal effort, there would be no need for competition. It works both ways, too, in that the big-budget companies are forced to change their strategies if they want to stay on top. Indie developers and smaller companies will always find ways to carve out new niches with brand new strategies and ways to play, and have to continually innovate to stay ahead of the larger companies that copy their successes. Of course, by the very same logic one could argue this just leads to more soulless shovelware. That may be true, but one has to look at the bigger picture: publishers and designers have to worry about challenges to their established games, and that's always a good thing. What if Grand Theft Auto was the only free-roaming sandbox game available because developers were reluctant to give the similar formula a new twist? Say goodbye to the historical sci-fi of Assassins Creed and its mobile companions or even the anarchic absurdity of Saints Row on consoles. Consumer choice would be limited and the depth and breadth of experiences offered by videogames would be abbreviated. Where would we be without competition inspiring others to make their move? Speaking only as a writer, the system is in place among all walks of the industry. I make note of other writers finding success when submitting certain types of pieces, and thus I want to do my own, but better, so that I may find my place in the sun as well. It's the same with clones. If complaints about rip-offs and clones prevented these games from existing, videogames would be a less exciting and dynamic mediaform. Let the games be made. Let them be celebrated. Because if a million lesser products aren't launched, how will we ever inspire the great ones?